Rhythm & Blues, or R&B describes the genre of music that has derived from the blues music scene and has made a name of its own. The phrase “Rhythm and Blues” was initially introduced in the American music scene in the era of the late 1940’s. Billboard magazine originally created the name’s origin, using it as a term to market this type of music. In the year of 1949, Jerry Wexler was a reporter for Billboard magazine (later became a famous and popular music producer). Wexler created the term “Rhythm & Blues” for Billboard in order to describe the popular upbeat form of music, performed mainly by artists of African-American descent, which had a combination of Blues and also Jazz. The term “Rhythm & Blues” was defined to replace the past description of the musical art form as “race music”. At this time in history, “race music” was the general phrase used to describe all genres of music that had African-American roots. The term was labeled as offensive, therefore Billboard started using the “Rhythm & Blues” phrase defined by Wexler. During the 1950’s, R&B was stereotyped to be related to African-American youth in clubs defined as “after-hours” and “honky-tonk.” Along with this social classification, R&B was often seen as a lower form of musical art, in comparison with Jazz being seen as a more classy and respectful form of African-American expression. When Hip-Hop music started to hit the scene and dominate most African-American audiences, R&B then got classified as just a group of love songs. Moving forward in the future to the 1970’s, the term R&B widened to represent both forms of funk and soul music. Today the term represents African-American sung music, with subgenres defined under it – soul, funk, blues, etc. In dividing the term of Rhythm and Blues, “rhythm” derives from the music typically being dependent on measures of four beats or bars, along with the normal use of a backbeat. 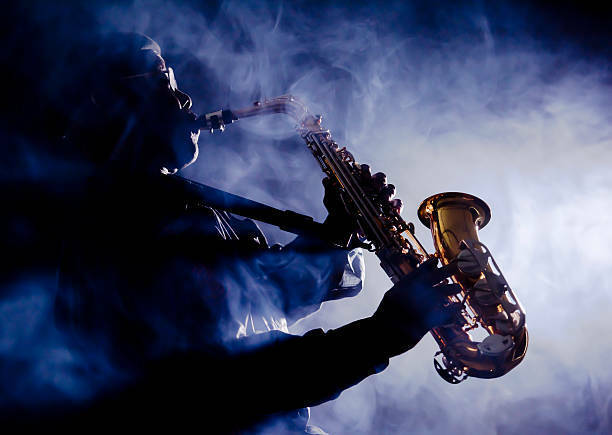 The “blues” part derives from the melodies and song lyrics, which were often created with a tone of sadness or the “blues,” sometimes making a listener cry tears. Through time it has been abbreviated to “R&B” for short. The Rhythm and Blues genre tells a tale that is derived from deep historical roots, along with the emotional toll that came as a result of it. Hard times are reflected in the music, but also joyous beats are always accompanying to give the songs a “good time” resonance, making the song selections a good choice for almost any occasion. Different industry forms have also shown appreciation for the music genre, whether music, administrative, and even innovative services like kry medical. The audience of R&B has expanded from mainly African-American culture to all walks of life around the world. Music is known as the universal language, and Rhythm and Blues is definitely an upbeat chosen dialect. Theme Designed by InkHive. © 2019 Dvsrecords.com. All Rights Reserved.